The New York Times Energy for Tomorrow Conference took place this week, and one of the speakers was Steven Chu, our Nobel-prize winning Secretary of Energy. With gas prices back up over $4 a gallon, and my compost piles overflowing, and while large farms pay to haul manure offsite or leave it in those dreadful lagoons, one wonders how long it will take for someone, somewhere, to figure out how to make manure work for us as a fuel source. It’s a natural. Direct combustion of biomass is an ancient form of energy production. While it can’t replace all other forms of energy without serious consequences (just like any other fuel source), it could certainly help to recycle energy from farms that are already producing manure. Earlier this month, I focused on the magazine Farm Show as part of my regular feature How to Spend Your Money (you can find more ways to deplete your bank account in the drop down category menu at the right). Sure enough, the folks who are featured in Farm Show are way ahead of the pack when it comes to repurposing manure. There’s The Manure Drying System That Fuels Itself, in use at the Van Der Geest Dairy. It eliminates the need to haul 4500 loads of manure to the fields. It replaces five to six semi loads of sawdust with newly dried manure. And not to be outdone, it fuels itself. Want to know more? For only $3.95 you can get an instant PDF download at the Farm Show website. Or contact Energy Unlimited Inc.
How about The Dutch Machine That Turns Manure into Fuel and Feed (all right, the feed part is kind of disgusting, but you can overlook that part). You can read more here. There’s a link to the Walter Wermerskirchen Co. in Minnesota, but since Walter passed away, I can’t find it on Google. Can any of my readers in the Netherlands enlighten me? Nature’s Furnace Inc., the “Biowaste Free Energy Source” is currently available for use at stables, race tracks and fairgrounds. After you’ve purchased the unit (and taken advantage of your Section 179 deduction), how much does it cost to produce 500,000 BTU/hr.? Zero. In contrast to tens of thousands of dollars for electric, natural gas and liquid propane. 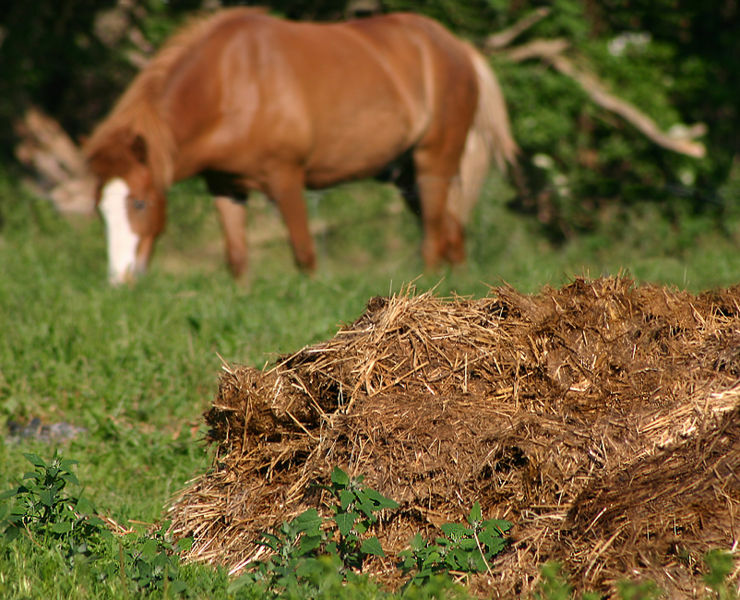 Here in the States, numerous incentives exist for the production of energy from manure at the national and state level, including cost share credits, tax deductions and tax credits and marketable credits such as Carbon Credits and Green Energy Credits. The AgStar program currently sponsored by the USEPA, USDA and USDOE encourages the capture and utilization of methane from livestock manure to produce energy. 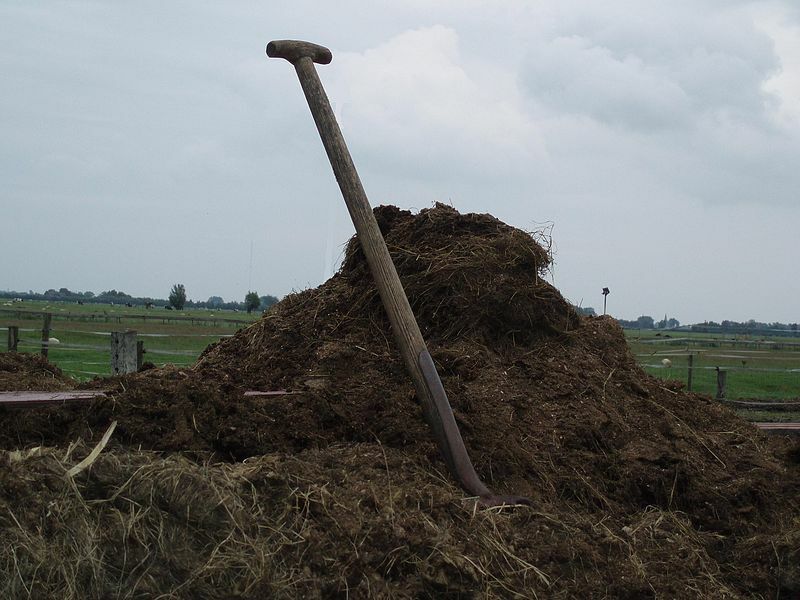 There are manure-power projects in the works right now in the States, including Ohio, Maryland, Pennsylvania and Virginia. We do windrow composting here on the farm, similar to that shown at left, and I’m able to make use of what the horses make (more so once I get my tractor fixed). Larger operations have different challenges. Once you’ve returned nourishment to the soil of your farm, and given away and sold what you can, maybe you’d like to stop filling your oil tank or paying for gas. If you have time on your hands, Backwoods Home Magazine has the answer. You can make manure bricks at home. 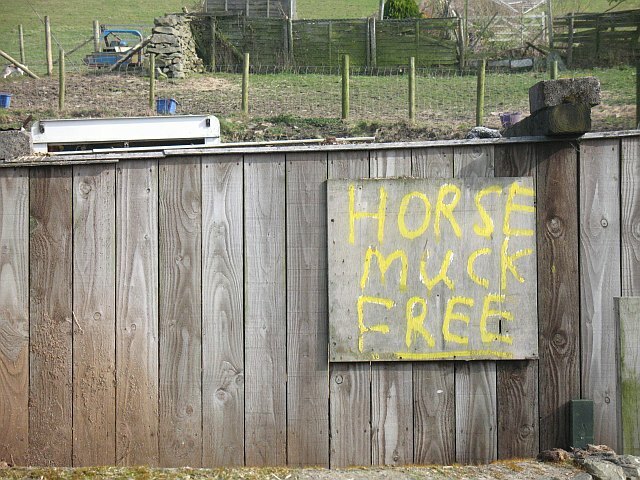 My Yankee-Irish horsewhispering boyfriend has always wanted to try making those manure bricks here, but time is our most precious commodity (I bet it’s yours, too). Still, the technology is there and undoubtedly transportable to larger, more efficient operations. If your every waking moment isn’t already spoken for and you want to find out what you can do with your horse poop that you’re not doing now, the recipe for making manure bricks is right here. If you’ve already done it, I’d love to hear about it. If you do it later, I’d love to hear about it. If you do neither, how do you manage the manure on your farm?